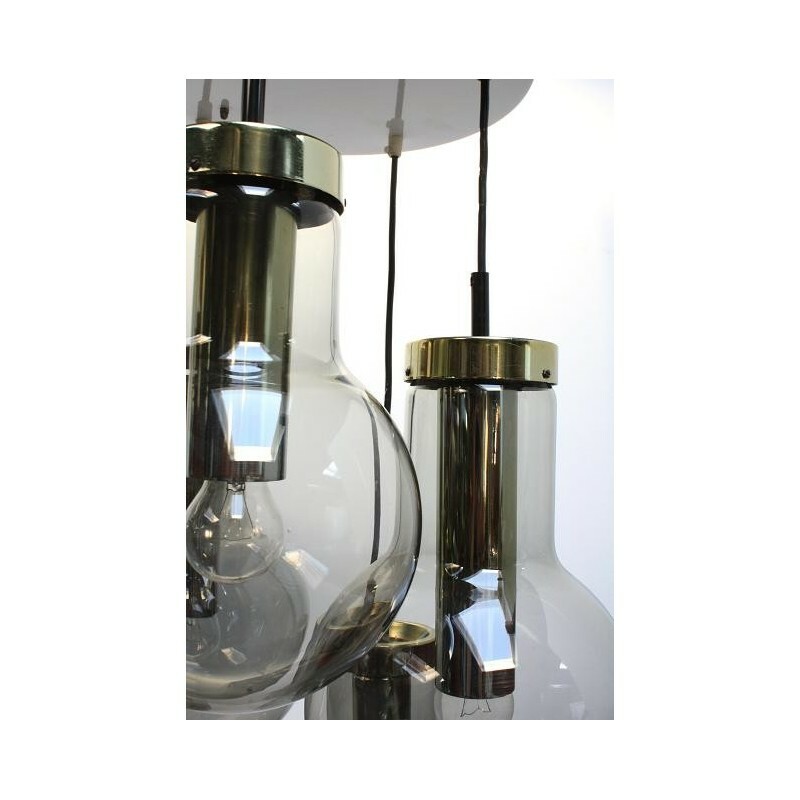 Large pendant by the Dutch brand Raak Amsterdam. 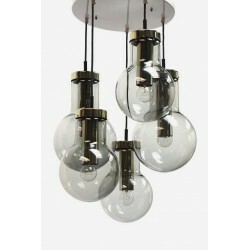 The pendant have 5 glass bulbs. 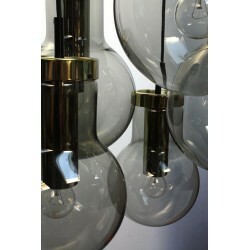 The bulbs are made in light smoked-coloured glass and the metal is brass coloured. 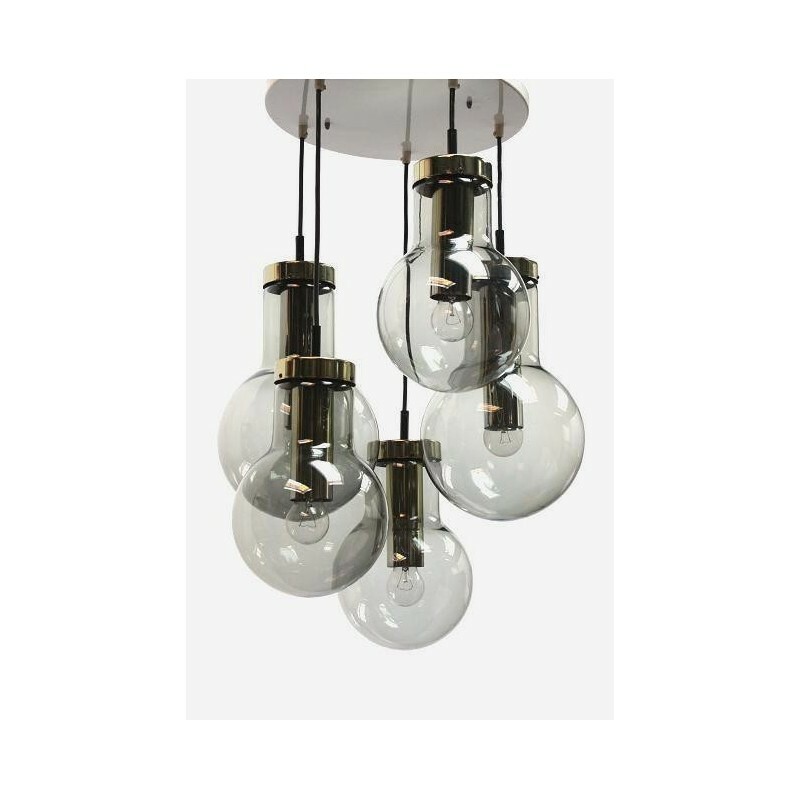 The 5 lamps hang to the original ceilingdisc, the diameter is 37 cm. The condition is good. 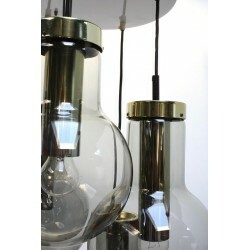 We have 3 pendants in stock, these are all 3 with bulbs in different sizes. 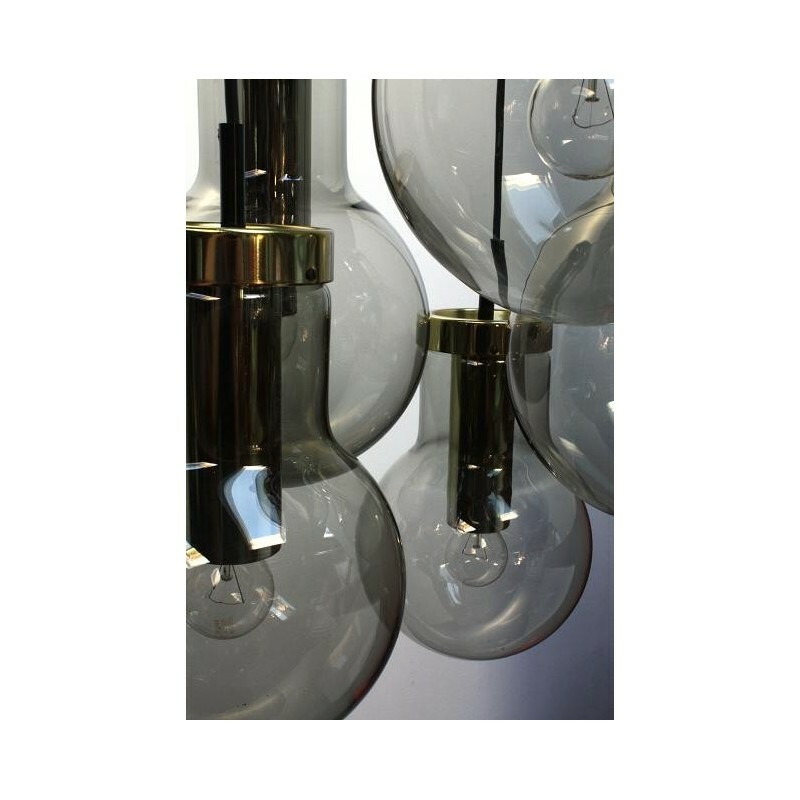 The dimension is around the 45 cm width and 80 cm high.